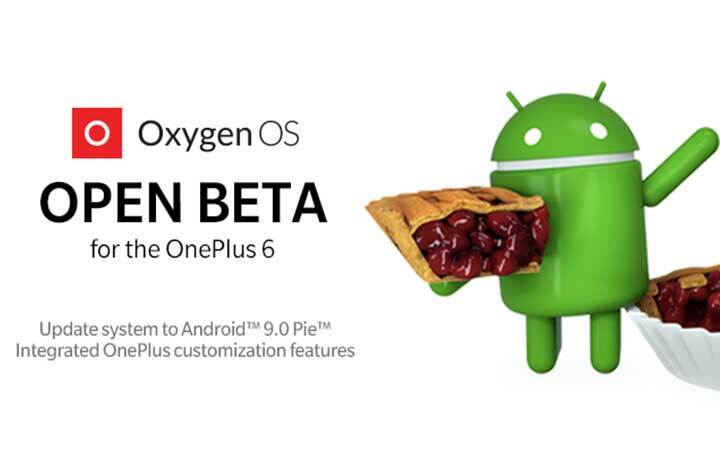 OnePlus 6 has received its first OxygenOS Open Beta Build on Android 9 Pie. After a few months, the company is now rolling out Open Beta 1 registrations and updates. The OnePlus 6 is one of the first few flagships that receive the latest Android 9.0 Pie update. The new OxygenOS Open Beta 1 for OnePlus 6 with Android Pie brings the new Do Not Disturb mode and Gaming mode 3.0 as well. Here the users need to download and install the ROM package file manually. The update file size is around 1.5GB. According to the changelog by OnePlus Forum, the OxygenOS Open Beta 1 for OnePlus 6 build brings the new interface of Android 9.0 Pie, new gesture navigation, and some other features and system improvements. Whereas the first beta does have some issues with it like Google Play Service not working, Google Play Store might show “Device is not Certified by Google” etc. But all of these bugs will be fixed very soon as this one is not a stable build. 1. Download the OxygenOS Open Beta 1 for OnePlus 6 ROM upgrade package from [HERE]. 2. Copy the downloaded ROM package to your device storage. 3. Go to Settings > system updates > tap on the top right corner icon > select local upgrade > tap on the installation package > select immediately upgrade > system upgrade will be updated to 100%. 4. After installing the ROM, select reboot system now. 5. And you’re done. Enjoy the latest build. 1. Download the latest ROM upgrade package from [HERE]. 2. Copy the ROM upgrade file to your mobile internal storage. 3. Go to Settings > system updates > top right corner icon > local upgrade > click on the installation package > immediately upgrade > system upgrade to 100%. Please note: This upgrade will clear all device data, so please make sure to back up of your internal storage. 1. Download the latest ROM downgrade package from [HERE]. 2. Copy ROM rollback package to your phone storage root directory. 3. Settings > system updates > top right corner icon > local upgrade > click on the installation package > immediately upgrade > system upgrade to 100%. Please note: This upgrade will clear all the contents of your phone, please make sure to back up everything. 2. Make sure to give a feedback about the beta builds on OnePlus Forum.